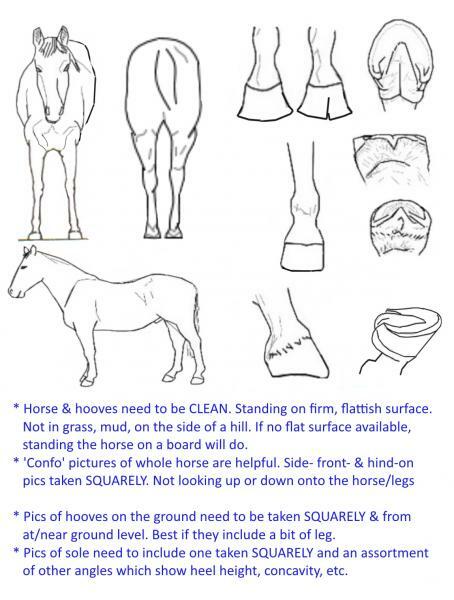 The Horse Forum > Horse Tack > Horse Tack and Equipment > Bit Suggestions please! My horse is being stubborn coming into the bit and putting his head down. He doesn’t carry his head high, but he certainly doesn’t listen to put his head down and come into the bit and is currently in a rubber gag. I mostly do jumpers so it’s not a huge issue, but I do eventing sometimes and dressage is our weak point. Iv tried many commands and he just completely ignores them. I need a bit that encourages him to put his head down and come into the bit. Thanks in advance !! It's not a bit problem and you won't find one that'll fix it. Get a simple snaffle and a dressage trainer. loosie, SaddleUp158, phantomhorse13 and 3 others like this. ApuetsoT is right. Coming onto the bit/being round doesn't come from the front end (though if their teeth or mouth are uncomfortable they won't work into a contact). And then get dressage lessons with a good coach. SaddleUp158 and Kalraii like this. Yep. This isn't a bit issue. This is a pain and/or training issue. Get a full vet exam to rule out pain in the mouth, jaw, poll, neck, spine, SI, hocks, etc. Make sure your saddle fits. Then get a good dressage coach. You don't fix this with a bit. You have to fix this 'back to front' and teach the horse to move from the rear in a round fashion. loosie, SaddleUp158, blue eyed pony and 2 others like this. A gag bit will encourage him to raise his head. I assume you are not riding him in a gag during the dressage work. what do you use for that? And, yes, it will be a matter of learning to ride him in a 'diplomatic' manner, that encourages him to soften, bend and give, and this means addressing him as a whole. Just looking at how you use your reins, and what bit you put in will give a skewed view. Are you working with a trainer? What "commands" are you using to get him to go soft and round?? I don't know of any bit that makes a horse "connected", only those that may force them to drop their heads, but not the same thing. It seems like you may have a misunderstanding of what you are trying to achieve, and I second everyone else that suggested working with a dressage trainer. Hi & welcome to HF! To add to what others have said, the words in your post I bolded are misconceptions on your part about your horse/training/equine psychology & show that you, and maybe the horse too, need more training. However, gag bits, in my understanding, are often used to encourage a horse to *raise* their head - it's often called an 'elevator bit'. So that is probably working against you too. Ditto to the person who said start with a halter(or real hackamore or other non-mechanical bitless). No bit will fix this issue, but will instead create a false headset and also cause the wrong muscle to develop. A horse’s head will naturally ‘frame up’ when he is straight, supple and rhythmic. This will allow him to be in the right position to push forward, over his back and into the bit.